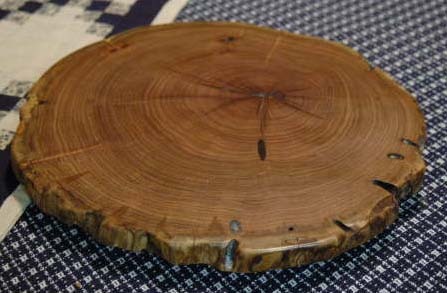 Home > Wood Lazy Susans > Natural Edged Lazy Susans > 10"
This handy size we have dubbed our "RV" model, as it suits the small occasional table, as well as cabinets or countertops. A great addition for a hunting lodge where space is a premium! Average age of this size tree is around 35-40 years. Actual size and shape may vary within 1".